As a result of the new tech, Social Soup can now recognise more than 2,000 different types of image attributes and can also detect if people are in the photos, their emotion and even approximate age. “The benefits for our clients are huge. We can find a brand’s ‘content soulmate’ and better match the right content creators to campaigns," Smith says. "We recently completed analysis of 30,000 influencer profiles and we now look beyond simple engagement levels to understand what types of content drive the biggest engagement. 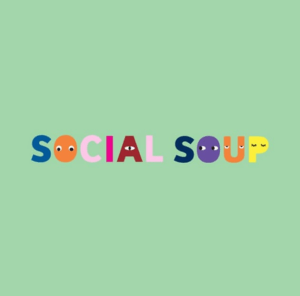 “Machine learning is still only in its infancy and our significant investments in technology have enabled Social Soup to take advantage early and adapt it for the influencer marketing space." Earlier this week, AdNews reported that Amazon is venturing into influencer marketing, revealing The Amazon Influencer program in beta mode on its website. "Amazon is very interested in influencer marketing and we are excited to be one of the first businesses globally successfully integrating the new AI platform and working in partnership to improve and adapt it for different social content," Smith says. Influencer marketing is becoming an increasingly crowded space, with traditional agencies entering the space as well as small startups. Technology and innovation for Social Soup, it says, is how it differentiates itself from the likes of Vamp, Tribe, The Remarkables and other competitors. 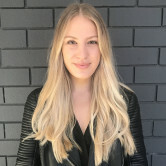 Smith tells AdNews AI has been on the map for the business, which is about to celebrate its 10th birthday, for a number of years, but particularly the last two as it ramps up its focus on its tech and data capabilities. Last year the agency announced a partnership with Quantium to offer an in-store sales attribution metric on its campaigns. "AI has been in the planning and dreaming for years but only just come into the reality about four months," Smith says. Social Soup is integrating artificial intelligence into its influencer marketing platform leveraging Amazon’s learning-based image tool, Rekognition. The tool is said to be a "game changer" for content analysis, making it easy to add image analysis to applications, also delivering analysis and accuracy previously considered impossible. Social Soup has been adapting the Rekognition AI algorithm, digesting thousands of data sets giving them a new tool in influencer marketing. Social Soup CEO and founder Sharyn Smith says AI technology offers enormous potential and benefits for clients. “AI is driving incredible disruption in the world of business and we could see the enormous potential for analysing social influencer content to give us insights into which content drives the biggest engagement and why, at unprecedented scale," she says.